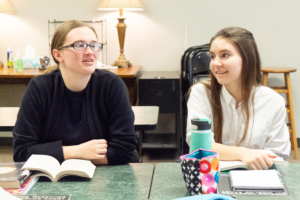 At Covenant, we seek to cultivate the minds, vocabularies and rhetorical skills of our students, so that as they approach the culmination of their education with us, they are able to speak truthfully persuasively, and eloquently. 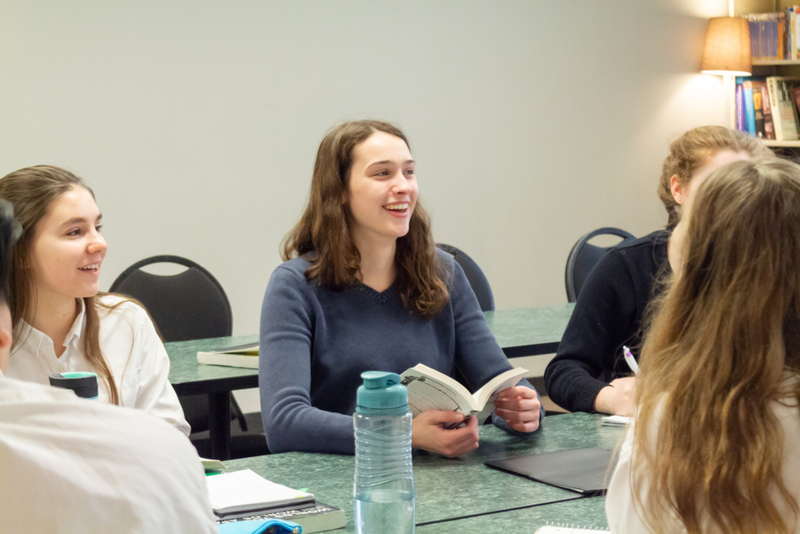 One of the ways that students practice speaking well, along with engaging well with the texts they are reading, is to participate in literature discussions. Unlike some discussion groups, where opinions are thrown around and every conflicting thought is equally accepted as true, the goal at Covenant is to get down to the truth together. 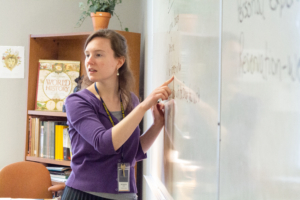 The teacher leads the discussion and is not a mere bystander, observing and writing down points, but rather is a guide, correcting error, asking intentional questions, and leading students closer and closer to what is true. 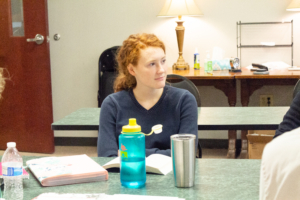 This also means that students are encouraged to disagree with one another in a productive way, point each other back to the text in question and, most importantly, remain grounded in God’s word as the Source of truth. 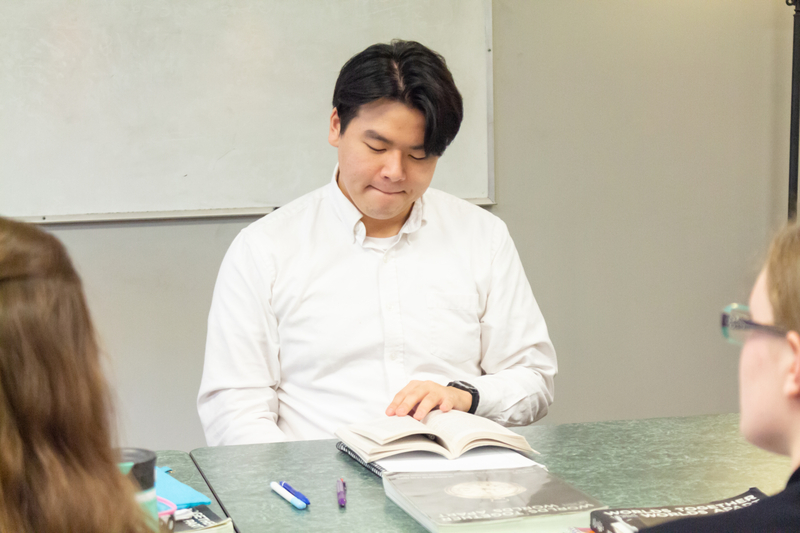 Recently, we got a window into such a discussion, in which the senior class discussed the Strange Case of Dr. Jekyll and Mr. Hyde by Robert Louis Stevenson. Their teacher, Miss Munson, had them explore the theme of duality within the classic work. The discussion began by discussing duality within ourselves as people and what the benefits and disadvantages would be of splitting oneself into two. The discussion quickly dived, however, into the question of good and evil within us, the old and new man in Christ, and what the Bible tells us about sin and sanctification. Throughout the discussion, without any prompting from their teacher, the seniors backed up their statements with verses from the Bible, passages and page numbers from the text, and occasionally a reference to Augustine’s Confessions, which they read together in ninth grade. As wonderful as the content of the dialogue was, the way the students went about discussing was equally impressive. We heard phrases like “I would argue…”, rather than vague expressions of opinion. Students interrupted each other in ways that furthered the discussion rather than taking it on tangents. They listened to one another and took the points made by their peers seriously. As questions arose, students pointed each other back to specific passages in the text to come to the answer. Each comment was cordial. Rather than disagreements being taken personally, each new statement built up the conversation in a common pursuit of truth. Throughout, the students were noticeably enjoying themselves. A common understanding of and appreciation for the literature was apparent in each member of the group. Truth was the goal – eloquently expressed and cooperatively found. Praise God for each step of our students’ education that trains them to be both wise and eloquent, both in and outside the classroom! If you’d like more information about Covenant, please contact our Admissions Director, Katie Broeg, at 717.540.9885 ext. 555 or Katie.Broeg@DiscoverCovenant.com. The 5th Annual Evening of Gratitude What’s it like to be a new student at Covenant?